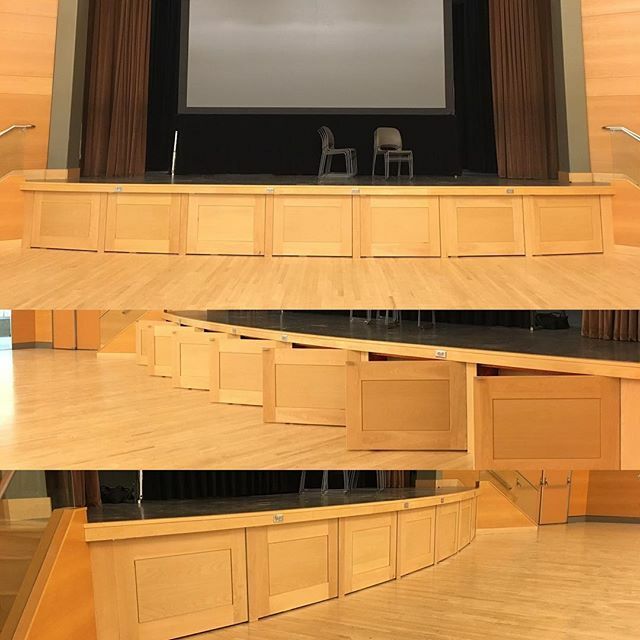 New stage skirting for PSU Smith Memorial Student Union ballroom. Solid beech frames with ply panels. A much needed upgrade to replace failed laminate veneer.